Time flies! 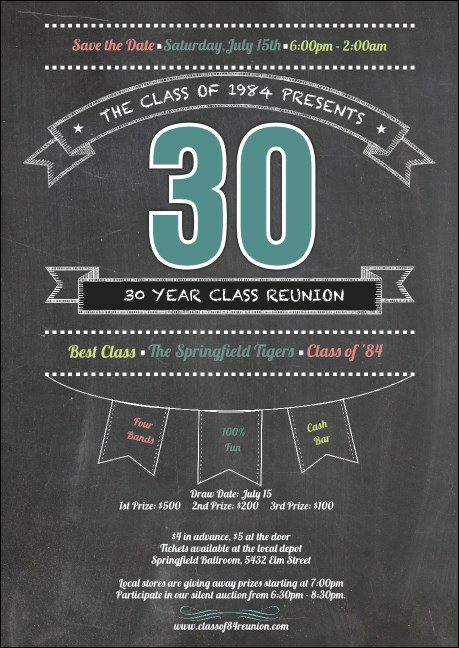 When you're ready to see what all your old friends are up to, pass out the Class Reunion Club Flyer in advance! This small flyer packs a lot of punch with twenty-three lines for your event details. Prom queens, jocks, nerds...see what's happened over the years when you get them together again! Has it really been that long? Promote your event with the right club flyer from TicketPrinting.com.